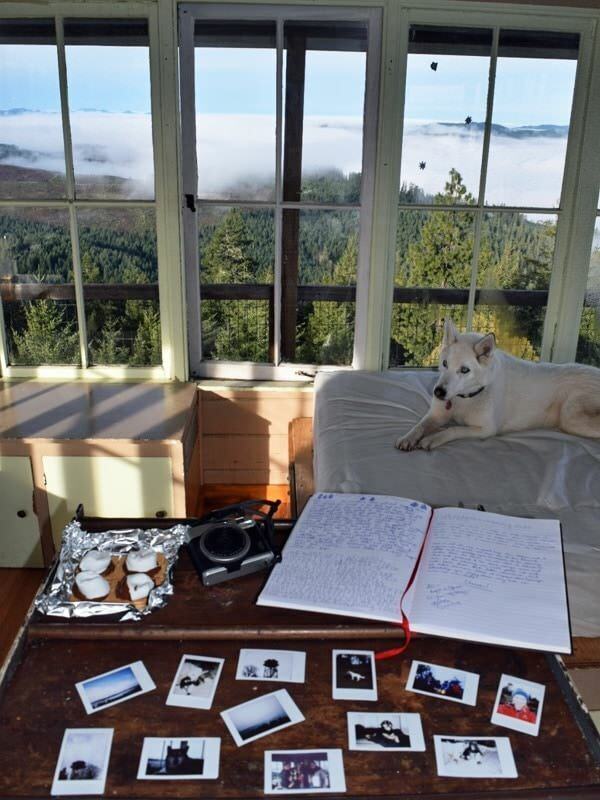 When I first moved to Oregon my bucket list was overflowing and at the top of it was staying in a fire lookout. 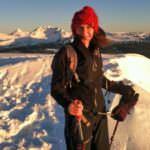 My first fire lookout experience happened just this past December at Fivemile Butte. After one night at Fivemile Butte I was officially hooked on lookout adventures. I knew there were many more nights in the sky to come. Fivemile Butte is roughly two hours from Portland in the Mt. 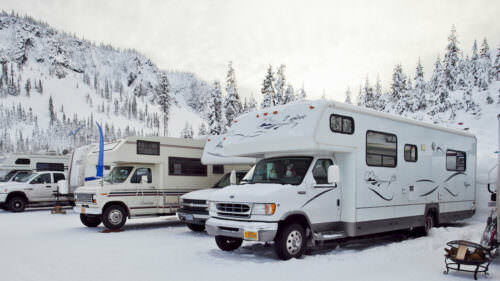 Hood National Forest and sits atop a hill surrounded by Ponderosa pine and Douglas fir trees. Wearing snowshoes, we trekked the three miles from the parking area and arrived just in time to watch Mt. Hood light up in pink from the winter sunset. We feel asleep to a crackling fire and the light of the moon shining in. 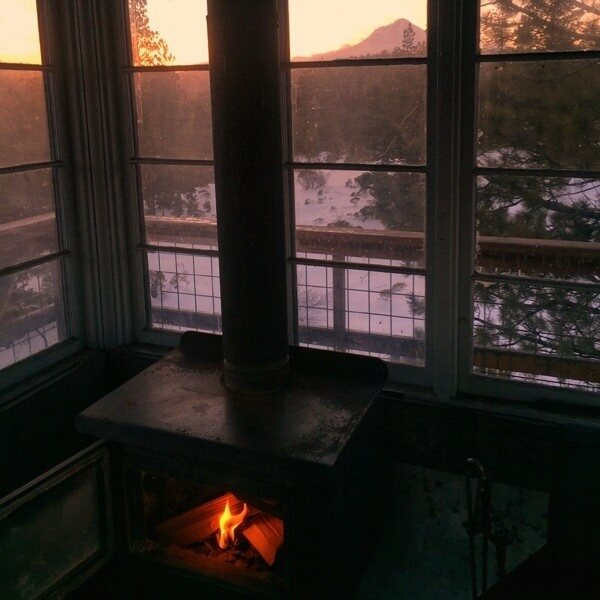 You wake early when sleeping in a fire lookout. The sun creeps through the single pane windows. But it doesn’t mean you have to get moving. 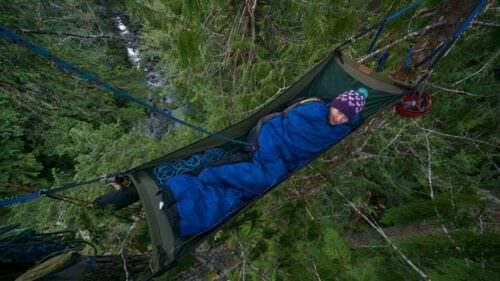 It’s easy to cuddle up in your sleeping bag with a cup of tea or coffee for the better part of the morning just gazing out at the forest. Next I joined some friends for two rainy nights at Pickett Butte in the Umpqua National Forest near the town of Tiller. The road to Pickett Butte is open year-round, making it accessible by car. After climbing the stairs up 40 feet, you are rewarded with the lookout’s exceptional 360-degree views of Umpqua National Forest. We huddled inside by the fire drinking wine and reading books for most of this trip because, true to Oregon form, it rained the whole time. Hager Mountain lookout probably takes the cake as the most incredible lookout I’ve been to so far — thanks to its incredible views of Central Oregon. 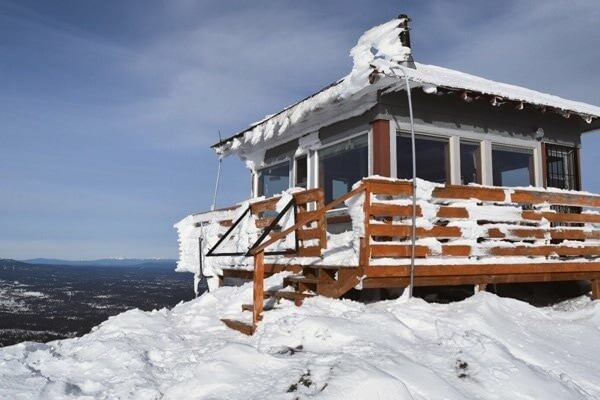 Located one hour from Silver Lake and sitting at 7,195 feet, Hager Mountain can only be accessed by foot, snowshoes or cross-country skis in the winter. And the hike up is not for the faint of heart. We went via snowshoes on a Wednesday and had the trail all to ourselves. The sunset we got to experience at Hager Mountain is one that I will never forget. The sky was clear enough that the horizon provided perfect views of every nearby volcanic peak. The stars twinkled through the windows and we each cuddled up with a dog and fell sound asleep as the wind whipped outside. My most recent lookout adventure was in April to Devil’s Peak just a short hour and half from Portland in the Mt. Hood National Forest. Devil’s Peak is a first-come, first-serve lookout with a burley hike to get to it. But once you get to Devil’s Peak lookout, the views of Mt. Hood pay off big time. 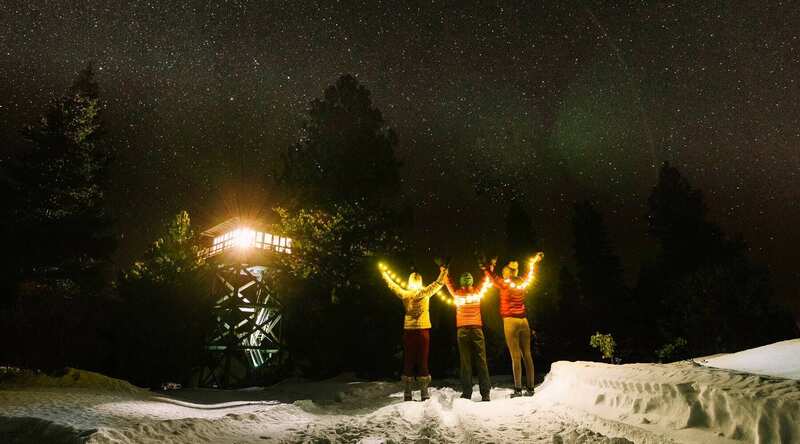 When the sun set and the stars came out we grabbed our cameras and huddled up in the snow for some of the best stargazing I’ve seen in awhile. 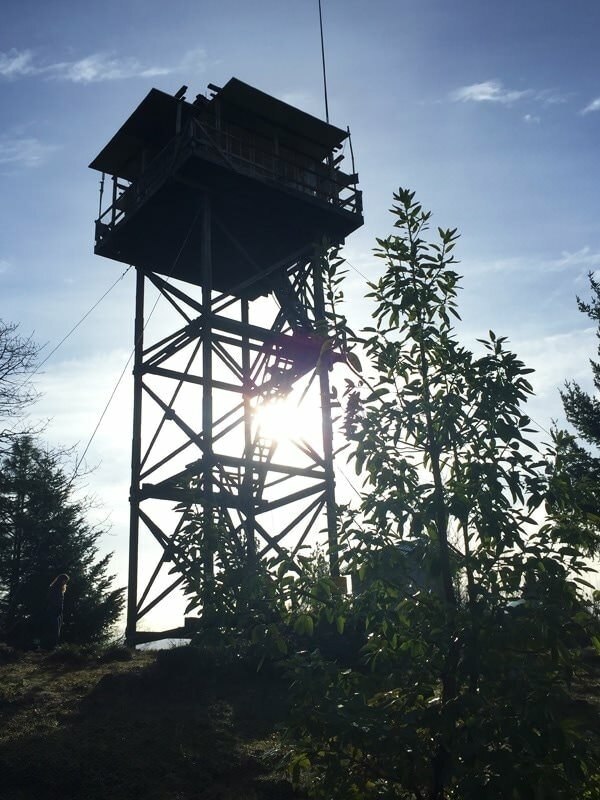 While there are some first-come, first-serve fire lookouts in Oregon, most do require a reservation and fee through Recreation.gov. 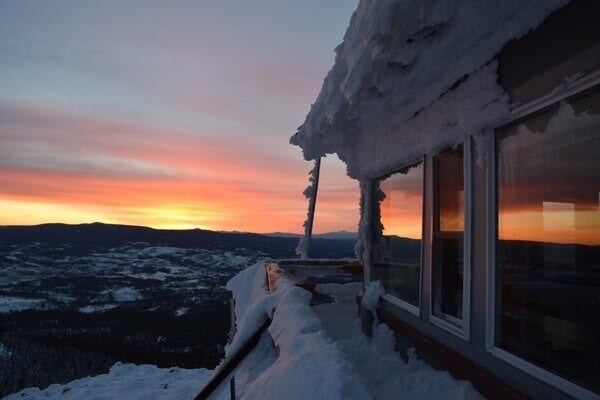 Booking a fire lookout requires patience and flexibility. 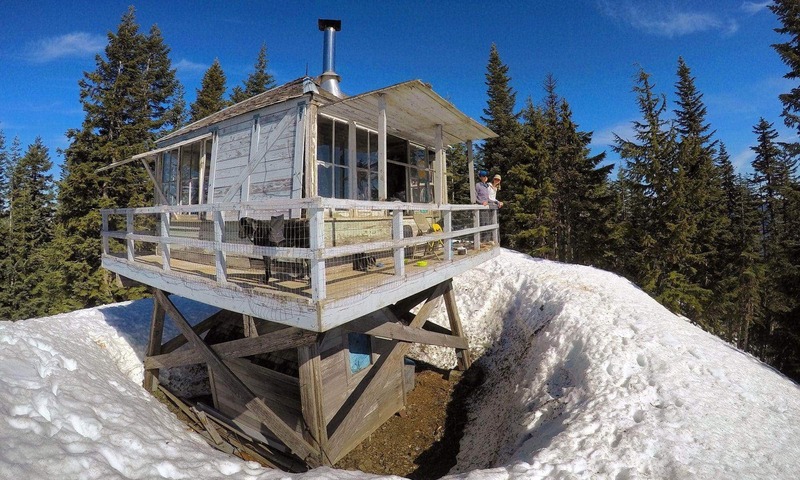 Because of increased popularity most fire lookouts book out six months in advance. My advice is to plan ahead and maybe use one your saved up PTO days and go on a weekday. Recreation.gov releases new days weekly so set your alarm for first thing in the morning. For weekends the reservations open one day at a time day so if you book on the last open Thursday, you can book through the weekend even if it’s not actually available yet. Many fire lookouts are actually still used by the Forest Service so there are some blackout dates. If you are flexible, check in often because people often cancel their reservations last minute and just you might just get lucky. 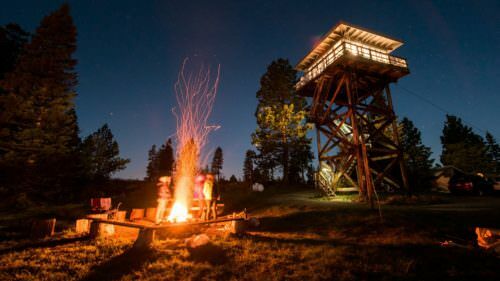 The magic of fire lookouts is truly one of my favorite things about living in the Pacific Northwest — every outdoor enthusiast should experience a night in the sky at least once. 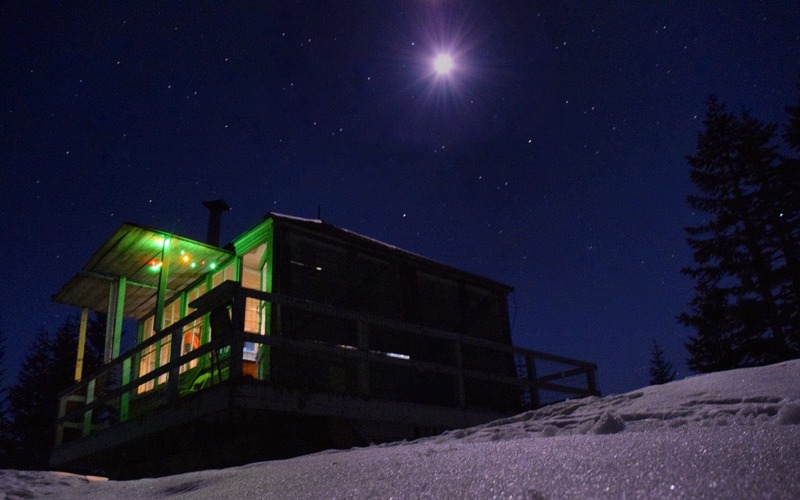 Up next for me is three nights at Acker Rock Lookout. Follow along on my Instagram to see where that adventure takes me; I hear there is excellent rock climbing just below the lookout. 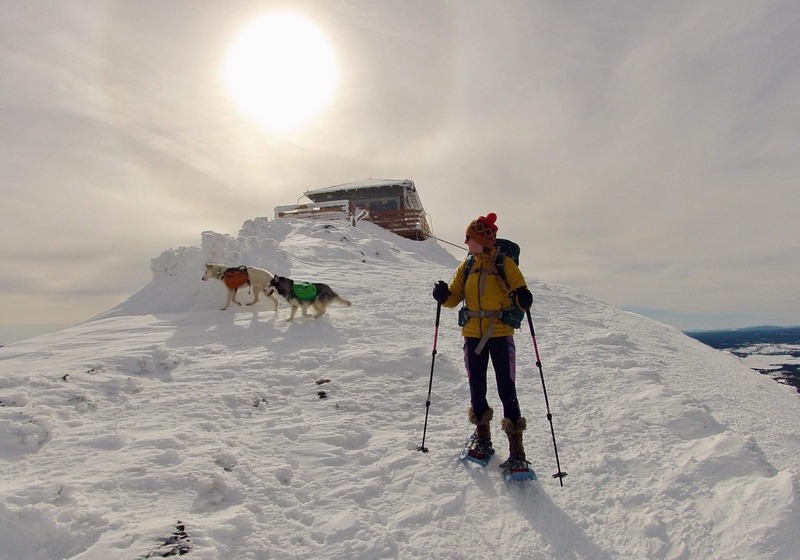 Alexandra Lev is an outdoor adventurer who dabbles in a little bit of everything. 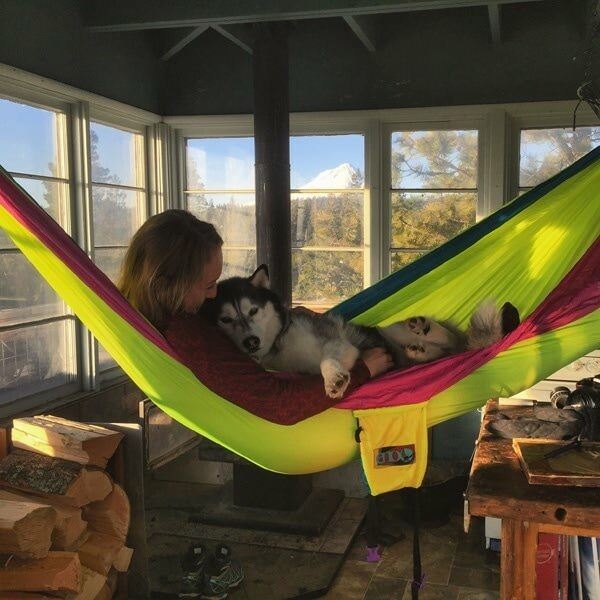 Most of her adventures take her into the backcountry and usually involve skiing or climbing and always include her two Siberian Huskies. 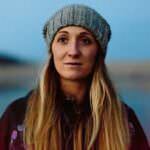 She currently lives with her husband in Washington, where they are always scheming up their next adventure. You can find her gramming at @luckyalexandra.